"Make your bookkeeping software work for you, instead of the other way around." about what I can do for you. "Keith returned our call immediately (from 206-789-8328 but prefers that folks send him an e-mail with a summary of what you want to accomplish and your contact information first before leaving a message) and promptly arranged for a time to come out to our home office to help us "fix" our QB mess. He explained up front how he could help us and what it would cost. He helped us troubleshoot several problems that had been bugging us for the past year or two, including reconciling a credit card account, paying sales tax using the QB "pay sales tax" function and improving our expense categories. He walked through our "Chart of Accounts" with us and suggested better ways to label accounts and categorize expenses. He gave us tips on how to better use the software to track our expenses. He answered multiple questions we had about various QB features, including the reports. And he helped us migrate from an older version to QB 2010. In the end, we spent about six hours with Keith and it was worth every penny. Keith was very professional and knowledgeable. When he left, we felt that we were finally on the right track with our record keeping and could make better use of the software to help us improve our accounting." "Keith is worth his weight in gold! As owner of a S Corp consulting firm, time is precious so I appreciated how efficiently he got me set up ... Keith patiently answered my questions and taught me how to most efficiently use this tool - which saved many hours preparing taxes today and lots of stress. He understands accounting for a small business. When I first hired him, I took advantage of his three consecutive hour special. I later signed up for his unlimited set up, review, and training plan. It has been well worth it. His training style is one of asking questions, providing examples of what to do or not do, and giving out homework for the next session or to fix the problem so you get maximum value for the money spent. I couldn't recommend Keith "Dr Quickbooks" more highly." "Keith worked with me to help me understand how to classify (within QuickBooks) the various types of income and taxes that come in through my personal training business. Because I provide a number of different fitness services, some which require me to collect sales tax, and others that don't, and each of them falling under different Washington state tax codes, Keith helped me figure out how to classify everything so that I am better prepared for tax season. I was very stressed out after 9 months of categorizing sales tax incorrectly, but Keith met with me over coffee and in 30 minutes I had figured out how to correctly categorize and pay sales (and B&O) tax in Washington. And even though our meeting was initially arranged to talk through this one big issue, Keith gave me some tips about how to more effectively and correctly utilize the software for all the business income and expenses I deal with." "When our old computer crashed with a no longer supported version of quickbooks, Keith was extremely helpful, trying to get us back on our feet. While he unfortunately could not resurrect a dead computer, we were lucky enough to have his help with installing a newer version of quickbooks. This was all done on a SATURDAY late afternoon / early evening over the phone. Needless to say, I was completely surprised when he answered not just one phone call, but multiple phone calls to 206-789-8328 - it is so rare to actually be able to get in touch with people that are in this support role on the weekends!! Being able to reach him on a Saturday, was a life-saver for our business!!" Keith was able to help me with my QuickBooks for Mac question, how I was not able to download my financial information from the Washington Mutual website. After asking a number of questions he was able to reassure me that the problem wasn't with QuickBooks but with Washington Mutual. He hadn't heard of the problem I was having but after ending our phone conversation he went on line and found a link that gave detailed information on how to fix it. He promptly sent that link to me." "Keith provided excellent financial and small business advice to my wife who is considering working for herself as a 1099 contractor. He advised her about two online resources to help her make the transition and recommended some books she might want to read. Keith reminded her of the importance of knowing what your tax deductions are such as mileage. He discussed the need for getting a business license to support that (independent) status as well as how to determine using an IRS form when one is actually an employee versus a bona fide independent contractor. Finally, he advised her how to calculate how much she would need to withhold from her future profits to pass on to the government. Keith's advice was helpful, detailed, accurate, and very timely. I recommend Keith to anyone wanting expert and specific advice about the intricacies of starting your own business." "Keith was fabulous at helping me with my photography business. I have been using Quickbooks for about 9 years. I was having trouble with my undeposited funds account. He was very efficient and thorough. Problem solved." Our (accounting) practice focuses on providing administrative, financial, accounting and bookkeeping support to individuals, families, trusts and estates and small businesses. In most cases we are either creating, maintaining or supporting their accounting activity in Mac or Window's based Quicken or Quickbooks. Occasionally, we find ourselves at a loss on how to make Quicken or Quickbooks do something. After exhausting the available help online, my thought is always to call Keith at 206-789-8328. On several occasions when I find myself doing battle with Quickbooks I speak with Keith and he generously, intelligently and simply walks me through the solution. Most recently I was having a issue which Keith explained was a Quickbooks issue and described the work around. If you need someone to help you navigate Quickbooks, or Quicken, need training or want staff trained Keith is your man. He is knowledgeable, personable, and easy to work with on projects." "My Father used to say "The known is obvious and the unknown is profound". Keith turns the profound into the obvious for his customers. I have used his financial management services several times in the past 2 years to set up and track my household income, investments, and spending in Quicken including putting the individual transactions into their appropriate categories including those related to taxes, how to go online to access my bank and credit card accounts to download transactions, and how to set up a budget and produce reports on spending patterns. As a result, my wife and I were able to identify over $1,600 in monthly expenses that we could reduce or reallocate to other purposes. Keith is very conscientious and detail oriented. He is careful to respect and listen to the needs and goals of individuals seeking a better financial knowledge and improve upon their current situation. He informed me of two positions that he heard about and thought that I was a good fit for. His no frills approach and straight talk is a refreshing pleasure to work with and learn from. He is talented and has found an way or niche to use those talents in an industry where they are desperately needed. His process is teaching a little, assigning homework, and teaching a little more insures we are not overwhelmed and can actually gain new skill sets and can use Quicken efficiently. "Keith is very knowledgeable of Quickbooks and shows a genuine interest in clients needs. He listens well, works hard to understand and resolve issues. He is very bright which is a necessity when trying to understand how an individual has set up their business. I needed someone who understood Quickbooks for the Mac - he was; most quickbooks experts are not... I would definitely recommend him to others!" "Keith is very knowledgeable in accounting software QuickBooks which helped me to manage and organize my plumbing company. He is very patient and detail oriented. Has an ability to reduce stress during his teaching especialy on a one on one basis." "As an organizational development consultant - finance is definitely not my forte! Keith came to my home office and in just a few hours had my Quickbooks neat, correct, and prepped for tax season. I feel more confident about my bookeeping and better able to manage my books and run reports after learning from Keith. I highly recommend his services." "Keith is great. I called Keith several weeks prior to even buying the QuickBooks program (for my appraisal business). Even before we began working together, Keith offered professional helpful advice from which version of QuickBooks to purchase to ideas regarding business structure and which laptop to buy. He is a friendly approachable professional who really knows his work. I also appreciated his willingness to come to my home for the training sessions. If you need to get started in QuickBooks or ever thought how nice it would be to do your own bookkeeping - call Keith to get the best local training available. I highly recommend Keith." "I like Keith because he doesn't play games. What you see is what you get and if you have problems, he does what it takes to get the answers. He's kind and patient, very understanding when it comes to stress and upset." "We contacted Keith to get some one on one training with QuickBooks for our electrical contracting business. From the beginning Keith clearly communicated what his rates were, and what we could expect from him for training. We were thrilled that we could have the convenience of in-home training for reasonable price. "Keith scheduled us for an appointment and came to our home office prepared. By carefully listening to us he figured out what we needed exactly, and taught us tips and tricks to more effectively use QuickBooks for our business. He was able to assist with invoice formatting, and showed quicker ways to enter information that was a real time saver. Since so many of the tasks are repetitive with QuickBooks streamlining the process really helps." We were very happy with his services, knowledge and helpful attitude. A few days after our training we even received a follow-up email listing many helpful websites, and ways to promote our business. Not expected??? and some of this information has really paid off in a synergistic way with consistent effort." I called Keith because he knows all things Quickbooks and also because he's located close to my massage practice in Wedgwood. He had the answers I was looking for regarding my current Quickbooks situation. Don't waste your time googling for answers...give Keith a call!" "I just did my first 1099 with Quickbooks and realized I was completely messed up! I couldn't get my form to print and I was three days away from an IRS deadline! The first person I thought of was Keith, and thankfully, he was able to rescue me in the nick of time. He was very fast, sympathetic, and kind with me as I dealt with my system. I don't know what I would've done without his help!" "In working with Keith, we have found that he can explain how to use QuickBooks to make bookkeeping much easier, faster, and simpler. His extensive business and accounting experience enables him to understand the needs of a variety business types. He is able to recommend unique and novel ways to solve both general business problems as well as the most efficient approaches when configuring and using QuickBooks. Keith is much more than just a QuickBooks expert. His experience and skills go well beyond into many aspects of running a small business, whether they be sales and marketing, organizational issues, or accounting / bookkeeping. I have found him to be very patient and easy to work with even with my limited knowledge and experience with accounting issues. I highly recommend Keith." "Keith is so patient, and he never makes me feel foolish for my little QuickBooks snafus." "Keith got me on the road to recovery within the first couple of minutes on the phone. It seems my architectural publishing and land use consulting companies needed more than just my Quick Book Simple Start. Yeah, go ahead and laugh. Keith told me where I could get good prices on QuickBooks Pro and we met the next day. He helped me map out a new accounting strategy, gave me marketing tips and general business counseling encouragement, all in less than an hour. Now I'm actually excited to set up my finances in QBP! Thanks Keith for helping me fix my goofed up QuickBooks. I appreciate the tips and love knowing that my reports are now accurate. "(We) needed help with transfering the item list from one company to another. He knew just how to do it and explained step by step in an email. Fast response also." "I had specific questions about insurance adjustments. He has experience with medical practices and the unique tax/accounting problems. Very straight forward and helpful." "Keith is fantastic! He was patient, thoughtful and creative in his efforts to help me find the best solutions for how to set up and manage my books and naturopathic medicine business via QuickBooks. He helped me resolve a $2,100 discrepancy in my banking records and gain a more effective understanding of QB in the process. Through his help I have honestly been able to sleep better at night! I cannot recommend him enough."" "Keith is very knowledgeable of QuickBooks and shows a genuine interest in clients needs. He listens well, works hard to understand and resolve issues. He is very bright which is a necessity when trying to understand how an individual has set up a business that is not one of the standard ones written in to Quickbooks. I needed someone who understood QuickBooks for the Mac - he was. Most QuickBooks experts are not. I would definitely recommend him to others!" "We run a small manufacturing and wholesale business. Earlier this year, we decided to upgrade our accounting system (to 2009) and realized we needed to find someone with more QuickBooks experience than we had. In working with Keith, we have found that he can explain how to use QuickBooks to make bookkeeping much easier, faster, and simpler. His extensive business and accounting experience enables him to understand the needs of a variety business types. He is able to recommend unique and novel ways to solve both general business problems as well as the most efficient approaches when configuring and using QuickBooks. Keith is much more than just a QuickBooks expert. His experience and skills go well beyond into many aspects of running a small business, whether they be sales and marketing, organizational issues, or accounting / bookkeeping. Keith fixed my mistake within 20 minutes of arriving. This mistake had been in my Quickbooks since 2005 and I was very relieved to have it fixed. If I had gone to my accountant to have it fixed the price would have been 3 fold." "I had the opportunity to meet Keith at a Biznik-hosted tax planning workshop. He was very knowledgeable in answering my questions about how to use QuickBooks Pro for my marketing and PR service to small businesses and nonprofits as well as approachable. He clearly knows his stuff." "I was using Quickbooks to keep track of rental properties. I had made some errors in the deposit screen and could not delete the errors. Keith was able to show me how to delete the errors as well as generally clean up and organize my entries more efficiently. The service and advice was excellent. He was able to explain things in detail with clear and concise explanations, but most importantly Keith is very calm and patient. I highly recommend him." "I am now doing the books for my husbands general contractor company and I did not know how to set up Quickbooks. I bought 'how-to" books and basically gave up. I found Keith and he came and set up my program, entered all my tax information rates, and showed me how to get started. The beauty is he made a house call and saw how I worked in my office and gave me (some) energy conservation tips. I would highly recommend Keith for any level of business as he can 'grade' his tips for you." "I especially appreciated how (he) called me back within my timeframe which was less than 24 hours from when I had posted my request. I was researching a problem for a client whom I was to see the following day, and getting a timely response from you meant I could get back to my client with the answer without delay!" "Keith was very helpful. I had a bookkeeping client using Quicken 2010 and we ran across a reconcilation problem I had not seen before. After an in-depth conversation with Keith on the phone, I learned we were doing everything right. More importantly for this review is that I felt Keith had a good grasp of my problem and gave clear answers that enabled me to move forward to the next step in the trouble-shooting process." "Keith was able to help me get my entire natural medicine/western medicine and supplement sales business up and connected with the business checking account and the credit card acceptance software in under 3 hours, teaching me the entire time how to use the system... with more professional receipts. He was very patient, even when I could not remember my passwords! My business will be much easier to manage now, as my old software was inadequate for my more successful business." Keith arrived at my office on time and ready to teach. He came to assist my sister and I with the reconcilliation portion of invoicing and deposits into the account. Keith was very knowledgable about both the QB's, as well as computers in general. He was very helpful to us, and I appreciated his patient approach, and willingness to meet us where we were at regarding our level of skill. I would highly recommend Keith for assistance with Quickbooks! Keith is fantastic! He was patient, thoughtful and creative in his efforts to help me find the best solutions for how to set up and manage my books and (restaurant) business via Quickbooks. He helped me to gain a more effective understanding of QB and it has honestly helped me to sleep at night. I cannot recommend him enough." "Keith was very helpful in helping me set up my Quickbooks. I run my Web Design business as an LLC (electing to be taxed) as an S corp, and there are some special scenarios I have questions about like how to pay subcontractors in China, healthcare as employee benefits. Keith was quite knowledgeable in answering all my questions, and patient at explainations. As a result, I was not only able to clean up my books, but learn how to maintain it going forward." I had a very productive session with Keith. He guided me through various helpful actions using my Quicken Home & Business as: adding a cash account for petty money, the proper way to record payments to credit cards, paying off loans, creating new and editing categories, distinguishing between business and personal transactions, adjusting preferences to better view transactions. He also gave me tips on how to save money on things personal and business related. I recommend him!" "Being new to running a business like this, I wish I would have called Keith sooner. He was very informative, and was able to get me on the right track to being able to track where my money is coming from, and where it's going. Schedule the 3 hour session. I scheduled the two hour session, and wish I could have scheduled four. I will be calling Keith back in the future to help make sure I am on the right path as far as how to enter everything properly. He was a great help." "We had a few questions on how to get the best out of the inventory package of Enterprise. Keith did a wonderful job in streamlining functions. He helped us set up two other business operations for future activities. His suggestions were well received by the staff." "Keith has been immensely helpful in setting up a functional accounting system for our non-profit religious organization. This set-up has included solving problems left from our previous bookkeeper and basically training an in-house staff member (non-accountant) to build new systems and start from scratch. Keith helped us establish a specialized chart of accounts, classes (for non-profit fund accounting), and items. He automated the integration of QuickBooks with our external accounts so that we are able to download transactions from all of our financial institutions including PayPal transactions via Big Red, saving our staff hours of manual entry and potential mistakes. Keith has been easily accessible to answer questions through e-mail and phone, and has spent many hours in-person to patiently train and support us. We highly recommend getting Keith on your side if you want your QuickBooks accounting to work for you, not against you!" "Keith came to our physician’s office to help with various issues in QB. He answered questions in a concise and knowledgeable way. His kind and patient tutoring helped me navigate QB various idiosyncrasies in a more efficient way to complete bookkeeping tasks. We will ask for further assistance as needed. Great mentor!" "I called Keith not knowing anything about him but I was referred to him as being the man who knows. Let me tell you he KNOWS. I had what I thought was a major problem and in two days he had it fixed and I was up and running again. Highly recommend him." "I needed to transfer our desktop bookkeeping to QuickBooks Online. There were many steps to the process and a professional whiz is what we needed, it was a complex set of tasks. And that experience and knowledge was served beyond expectations by Keith with a patient and thoughtful process. He came to our office, cleaned up lists and past transactions that needed proper accounting practices set, he taught tips to making better classifications, updated the version of our old QB program then updated the company books for the transfer. Viola! Everything transferred beautifully. And it was a painless three hour process. The price was reasonable and worthy the expert experience." "Keith has been a remarkable resource for my small business and personal bookkeeping for over a year now. His methodical problem solving approach and practical advice has resolved issues I thought were impossible and the way, provided efficiencies that have saved me significant amounts of time. I would not hesitate to recommend Keith wholeheartedly!" "I had a 3 hour session yesterday and was very satisfied. As I suspected there are many operating nuggets that will now save lots of my time and maybe the process use full as a financial tool. Quicken may look simple, but there is much to know to make it useful. Keith was knowledgeable and practical. I intend to advance into budgeting and more reporting in another session. Well worth the time and fees." "I am experienced with Quicken and new to QB and QB POS. Keith was very helpful in showing what I needed to get started without overwhelming me. I am sure I will need more training as I get up to speed, and I won't hesitate to call Keith again. His flexibility in scheduling time is a big plus." "I found Dr. Quick Books (Keith) last year when I was setting up QuickBooks for a client of mine. He is great! He responded quickly, came to my house and answered all of my questions and more. He just came to my rescue again this week with another client by helping me sort out which options and methods will work best for their needs. He is quick to respond, very helpful and detailed and patient with his explanations. I highly recommend his services and know that I will be calling on him again. It's so important to have resources like Keith, to get the help when and where you need it! Excellent customer service!" "Help Me Obi Wan Kenobe! You're my only hope! I found myself in a panic, trying to get an overdue report out and not having enough experience with Quicken to have my report balance correctly. I had some concerns about the name "Dr. Quicken", but read the reviews on his business and took a chance on calling him. Keith came to my house on a Sunday afternoon and worked his Jedi magic. He was thorough, knowledgeable, and easy to work with. He actually seemed to enjoy working his way through the errors I had made. He taught me how to enter future data, correct errors, print reports and manage categories. He was professional and easy to work with. I highly recommend him and will use him again for other aspects of our business and personal needs." "I wish I would have contacted Keith last year when I was setting up my company file. By this year I was really confused with the numbers in the reports, as I don't have an accounting background some things didn't make sense to me. Well I read about what Keith specializes in and I thought "It is like he knows what's happening to me" I liked the part of teaching how to fish since I'm the kind of person who wants to know why? and how the things are done. I e-mailed him my general concern and he was very wise asking me a detailed list of matters that I was experiencing with the program so when he came over we both had a picture of what our session was going to be about." As some other persons mention his methodical way of working and his empathy for understanding where I was standing helped very much to go through all the issues I had created during the year and to conclude a very productive work session. I finally understood some of the Basic Accounting Concepts that were essential to enter the data into the system, so I appreciate his practical sense to make this happen. Other remarkable thing is the detailed description on his invoice, it is so valuable as notes are and not just a way to charge for the time he spent; now a days is not so common to get that from a service provider." "Keith is the master, takes his time to do it right, points out more things i should be doing to track transactions. My accountant loves the clean precise reports we get. I wish i could retain all the help he gives during his visits. I take notes now. You will not be disappointed. If you are setting up a business you need this guy, He will get your Quickbooks up and running correctly. Dont trust your accountant to do it. I have found most accountants are good at numbers, not quickbooks. Keith is Quickbooks." "To put this in the right perspective you should know that I owned a consulting business that included a staff of 10 technical consultants and was a widely published author and speaker in the computer hardware and software industries. So I speak with the perspective of both an industry authority and very happy customer. Keith's service and work are spectacular. He is far better than the Intuit specialists I have wasted time with over the more than a decade of problems with their products. I highly recommend him. Economically speaking his cost is insignificant compared to your opportunity cost when you waste hours ... trying to do it yourself. I was at his side for the more than 7 hours that he toiled on my Quicken problems. He wasted no time, showed me what to do to prevent it from being an issue again, and ended up totally solving that problem. Many days after, I had an unrelated Quicken problem. I left Keith a voicemail. It was a Saturday. Never-the-less, he rapidly called me back Without hesitation he spent much time analyzing and then solving the printing problem by advising me to get a free PDF printer that would allow me to accomplish my goals. You should also know that his standard follow up is excellent. A few days after he finished my original work, I received a very comprehensive report that documented and explained everything that had transpired." Names of customers who wrote these reviews available upon request or a link to the original post where the review first appeared. Are you facing some of these problems? Do you need a QuickBooks consultant that you can easily contact by e-mail with a summary of what you need done, your problems, the year and/or version of the software you are using, and your contact information, and then calling them at 206-789-8328 afterwards and leaving a message to organize or set up your new business or start up's financial records and chart of accounts in the program (PC or Mac)? And getting a call back within 24-48 hours? Do you understand the importance of setting up items (the products or services you sell) correctly, what they are, and how they are used in the program? Do you understand how to use them to track both income and expenses and for job costing? Has your bookkeeper recently left and you'd like a second opinion on how to manage your bookkeeping system and to review what they did? Want to test the next one you plan to hire? I can provide tests through a professional group that I am a member of. Is your "undeposited funds" account growing each day? When you run a profit and loss report, does is say your income is double your sales? 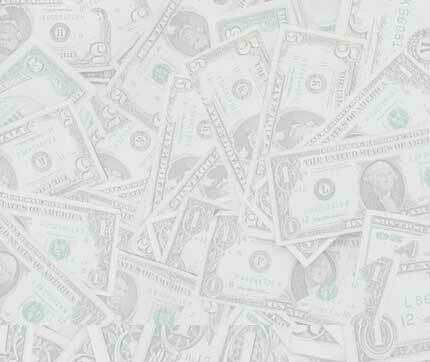 Is your sales tax payable account increasing each month? Do you know the proper way to pay your sales tax in the program? Do know why you should track the sales tax paid to vendors for products you later resell? Do you know how to pay your state B&O tax correctly? And it isn't by writing a check. Does your A/R and A/P seem to low or "wrong"? When you take a customer deposit, do you simply receive a payment? When you run a profit and loss report, does it agree with your bank deposits and customer sales? Have you s l o w l y come to the realization that you don't know how to use your financial accounting and bookkeeping software and it is affecting your bottom line, your relationships, and your sleep? I can probably help. You can start the process by sending me an e-mail with your contact information, a list of your problems or what you want to achieve, and leaving a message at 206-789-8328 after e-mailing me. I usually reply to e-mails or phone calls by the end of the day or within 24-48 hours. Is your company file s l o w to open or respond? Does it take forever to start, load reports, and process transactions? Do you know the proper way to backup your company file? And no, copying it to an external hard drive or online "backup" such as Carbonite or Mozy isn't a good idea. Have you wondered if using the online banking or bank feeds feature is a time saver when reconciling your bank and credit card accounts? Would you like to find out how much you earned from each customer or job and how much you had to spend to earn that revenue? Does the thought of spending time doing the financial side of your business send you into a depression or make you overeat? Would you rather make more money doing what you do best rather than dealing with the Castor Oil of paperwork? Are you embarrassed by the state of your books (don't worry, I've seen worse)? Have you thought about taking a QuickBooks class (presuming you can get into the class, unemployed job seekers have the same idea) but don't want to fight traffic to get to one and turn away billable clients, because you have to be somewhere you'd rather not be, sit in a sweaty, crowded classroom filled with strangers and be expected to talk about your personal financial issues as part of class participation. Or worse, the class will never talk about what you need to know (like job costing, payroll, or complex inventory issues) or address your issues to help support you in your business. Are you starting a retail store and need your Point of Sale system configured and integrated into your QuickBooks financial (PC) software? I might be able to help. Like an old fashioned doctor (I even have a white lab coat and black doctor's bag, smile), I come to you in my "gas-guzzling, smile" Prius, on your schedule, and bring my class and one-on-one training session based on what you need to know to help support and meet your needs. All you have to do is start the process by sending me an e-mail with your contact information, a summary or your problems or what you want to accomplish, and call me at 206-789-8328 at the end of the business day if you haven't heard back from me (I don't usually return phone calls when I busy with a client, it is only fair). Has your company grown to the point where it would be nice to have someone, perhaps an Advanced Certified QuickBooks ProAdvisor with 47 five star reviews and one 4.9 and additional current certification in Intuit's Online, Point of Sale (POS), and Enterprise software (for middle market companies) like myself to come in on a regular basis to help solve your QuickBooks problems as well as train, tutor, teach, support, and instruct you and your staff in QuickBooks® (for Windows or Mac), and assist you in your bookkeeping and financial reports and let you make more money by doing what you really enjoy doing? Or would you rather sit in the dark? Well, let's chat on the phone for up to 29 minutes free of charge about your new business or start up's needs, what would be the best QuickBooks software to use for your industry, what your problems are, what you would like me to accomplish, what I think I can do for you, and to bounce ideas off of. After all, it can be pretty lonely starting, managing, or running a business. We all need to talk about it with someone in the same boat. You can start the healing process by sending me an e-mail with your contact information, a list of your problems or what you want to achieve, and leaving a message at 206-789-8328. I reply to e-mails or phone calls within one to two business days. You’ve hired an attorney, accountant, insurance agent, business coach, public relations expert, marketing, SEO expert and other professional consultants to help you set up, start, or manage or run your business. Shouldn’t you hire someone to teach or train you how to effectively use the accounting, bookkeeping, and financial management software that you will be relying on to discover how well you are (or aren't) doing? Or generate an accurate profit and loss statement for your lender when you decide to expand or buy a competitor or another business? Or would you rather walk in the dark with no financial lantern? Help you pick the right QuickBooks desktop program (there are 11 (Pro for Windows, QuickBooks for the Mac, Premier including its sub categories [Contractor, Retail, Professional Services, NonProfit, Manufacturing & Wholesaling, and Accountant], Point of Sale (usually used to track the sale of inventory and/or in a retail environment), and Enterprise) or Online (including Simple Start, Essential, and Plus) for your business. I can provide a link to download a 30 day trial of QuickBooks Enterprise which is similar to Pro or Premier if you don't have it and want to practice before I come out. I may be able to provide an older 30 day trial verision of QuickBooks Premier for the PC or the Mac version to try out. 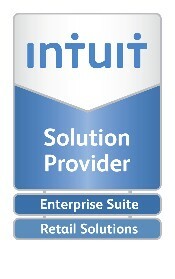 Use my Intuit Solution Provider status to quickly obtain your Mac, Pro, Premier, and Online software in as few as 24-48 hours depending on the day of the week, POS hardware and software, Enterprise Solutions software, or other services such as payroll or credit card processing so you can be up and running. In some cases, I am lower than Intuit or can sell you their software at my cost when you have hired me on a case by case basis or have applied for their no monthly fee or minimum charge pay as you go credit card processing plan for those inconvenient times when a customer has forgotten their checkbook and you need the money in your bank the next day. Why fight traffic to run to the store and waste your time standing in line when I can bring your QuickBooks software or other services to you via the Internet and a backup CD via USPS/FedEx/DHL/UPS? Help you to convert your QuickBooks company files from other software programs such as Peachtree, Microsoft Small Business and Office Professional or Express Accounting or provide a link to convert it from MYOB. For Quicken, I can help you with converting Money into Quicken providing you do some set up steps. Set-up your initial financial Chart of Accounts applicable to your business (something software can't personally provide) including bank, petty cash, employee advances, fixed assets and other assets, credit cards, loans, payroll and sales tax payable, and other liabilities, taxable and non taxable sales or services, billing rates, custom prices, fixed or nut expenses (the bills you have to pay every month) versus variable and setting up tax lines for most accounts to make it easier to file your income tax returns and save on your accountant's fees. Explain why your chart of accounts should be numbered and when you should use classes if you are tracking real estate rentals, store or sales locations, or other situations. Set up your accounting software for On-line Banking for real-time knowledge on where your account balances currently are at including some credit cards (unless you like to pay over limit and NSF fees). However you are responsible before hiring me to confirm with your financial institution that they offer downloads into QuickBooks or Quicken for PC or Mac retroactively or from a specified date forward or in a format that you can import into your company or data file. You can start addressing these issues by sending me an e-mail with a summary of what you want to do, your contact information, and calling me at 206-789-8328 and leaving a message afterwards. The proper way to record personal credit card charges so you can reimburse yourself and how to make yourself a vendor in QuickBooks. Show you how to turn on certain accounting preferences in QuickBooks related to your business which in some cases can save you data entry time. Establish correct service, inventory, noninventory, or other charge items, payments (which you can show on your invoices or sales receipts if you wish), discounts (and why you need to use subtotals), sales tax items classes, and adjusting Inventory (and if you sell informing you why it is important to keep track of your shipping costs). Using custom billing rates in certain versions of Premier or higher for employees and creating custom price levels for products and services tied to a customer or just plain price levels. Using integrated third party applications available from the Intuit App Marketplace or third parties to keep you using the software instead of outgrowing it. Discuss iPhone, iPod touch, iPad, Android, and Blackberry applications such as GoPayment, PayPal Here, Square, and Groupon's Breadcrumbs to accept credit cards, QuickBooks mobile connect which lets you keep a list of customers so you can create estimates, invoices, and sales receipts and receive payments in the field, Expensify or Concur for your traveling employees or officers, and other applications available from the the appropriate marketplace. I can show you them on my iPod touch, iPad, Android cell phone and Asus Tablet. Job Costing and Estimates (and explaining how to convert your estimates into an invoice) - Very useful if you are a contractor concerned about job costing. Bank, Petty Cash, Credit Card, and other Account Reconciliation. Bill and Credit Card Posting including matching up net credit card receipts to charges. Show you how to design your own customized Estimates, Sales Orders, Purchase Orders, Invoices, Packing Slips, or Sales Receipts with your company logo. And yes, you can e-mail them using desktop and web based e-mail services depending on your year and version of QuickBooks. Demonstrate the proper way to receive and deposit advance and customer payments and apply them to invoices. Teach you how to track income for two or more different B&O rates (such as retailing and services) and file your City & State B&O and Sales Taxes. Washington State requires that you charge sales tax based on where the sale, delivery, or transaction took place. I can show you how to import all 343 sales taxes or just those you need such as King, Snohomish, and Pierce County cities. You can start the process by sending me an e-mail with your contact information, a list of your problems or what you want to achieve, and leaving a message at 206-789-8328 after e-mailing me. Discuss whether or not to use ADP, PayChex, or Intuit Basic, Enhanced, Assisted, and Online Payroll and direct deposit through QuickBooks whether you have one five, 18, or 35 employees. I can also obtain Intuit Payroll products for you. If we have time, I try to go over some payroll tax credit programs. Three of my clients stand to save up to $9,000 in payroll taxes over a two-year period. Wouldn't you like to be number four? Use QuickBooks to track your various federal and state tax liabilities (wouldn't you rather know that you need to allocate X dollars for them then find out at the end of a quarter?) as well as prepare your Payroll Forms (Unemployment, Worker’s Comp, & IRS) and pay them online. Filing and organizational advice to keep your financial and office files in shape (such as using color tabs for certain types of files such as green for customers, blue for vendors, etc.). Preparation of monthly, quarterly, and year end management financial reports including profit and loss, balance sheet, cash flow predictions, and who are your most profitable customers or job productivity. Showing you how to use the new Certified QuickBooks Users Program or the Sleeter Program to test your existing employees knowledge of the program or to verify prospective job candidates bookkeeping, accounting, and QuickBooks skills or if you are an employee, use the certification test in the program to argue for a pay increase as you have had your skills independently confirmed. You can start pushing the ball uphill by sending me an e-mail with a summary of what you want to do, your contact information, and calling me at 206-789-8328 and leaving a message. Help you decide between using Quicken Deluxe (the most popular with the ability to track your personal checking, savings, credit cards, property or assets, and loans), Quicken Premier (also comes with ability to track retirement, investments, stocks, and bonds), Quicken Home and Business (same as Premier and allows you to separate personal and business accounts and create invoices, business items, track sales tax, receive payments, and run business reports, Quicken Rental Property Manager, and Quicken Essentials or the old 2007 version for the Mac. Learn how to add your bank account, credit card, line of credit, investments, retirement, stocks, bonds, and mutual funds, house and car loans, and related assets and assets. How to customize your account register preferences. Wouldn't you like to have the memo field follow the category? Or what about having your tax deductible categories be clearly marked as such? How to correctly download your financial transactions and why you shouldn't follow the program default. How to properly pay your bills, memorize or schedule them, and credit cards. How to enter your regular paycheck and deductions and/or additions and why entering your net salary is a mistake. How to set up, edit, modify, and assign categories to your transactions. How to link or assign your categories to the tax lines on your 1040, Schedule C, or other forms so you can use the program with TurboTax. How to run and customize reports that tell you how much you are making and spending and where. How to set up and customize a budget. How to customize your Quicken program including automatic backups when you exit the program. While I am able to solve about 99% of my client's problems or teach them, there are some that I can't. So I can't make any guarantees. I can't guarantee that I will be able to fix your problems or teach you if they are due to the built in limits of your accounting, bookkeeping, or financial management software, operating system (for example, current versions of QuickBooks and Quicken work on Windows 10, 8, and 7 but not Windows Vista, XP, 95, 98SE, or 2000), financial institution, how you use third party software or hardware, exceeding the program limits of your program, network configuration, computer hardware such as not having enough RAM to run current versions of your programs, other computer software, or not having any of the previous updates to the latest release, version, or driver or your computer crashes, or expecting the program to do what it isn't designed to do. I also sometimes can't fix issues when a client is not prepared for me. That means I expect you to have a working computer, keyboard, and mouse, Internet, sit patiently as I explain and take notes, be up to date in your operating system, Microsoft Office if you have it, Intuit software, have current antivirus and malware software, and have sent me a list of what you want to accomplish at least 24 hours before I come out and have any additional agenda items printed for me. I appreciate having a glass of water handy at our working area as I do talk a lot. I am an Advanced Certified QuickBooks ProAdvisor with 47 five star reviews and one 4.9. Currently, I am ranked #1-2 on the Intuit Find a ProAdvisor site for Seattle or Greater Seattle depending on your zip code. I am certified for QuickBooks for years 2018, 2017, 2016, 2015, 2014, 2013, 2012, 2011, 2010, 2009, 2008, and 2007 which includes Intuit's PC, Simple Start, Pro, and Premier (including Contractor, Professional Services, Nonprofit, Retail, and Manufacturing and Wholesaling), Online, and Mac versions. 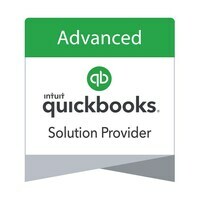 I was one of the first ProAdvisors certified for all three versions (Simple Start, Essentials, and Online Plus) of QuickBooks Online when Intuit announced that this certification would be available in 2012. I also have voluntarily obtained additional certification in Intuit's Point of Sale (versions 12.0, 10.0, 8.0, and 6.0) software for retail operations and Enterprise Solutions (ES) software (17.0, 15.0, 11.0, 9.0, and 7.0) for mid-market companies. In case you are wondering, Intuit did not offer certification tests for the versions (POS: 9.0 and 7.0 and ES: 10.0 and 8.0) in between the Point of Sale and Enterprise versions listed above. 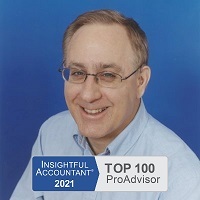 In 2014, 2015, 2016, and 2017, Insightful Accountant (formerly Intuitive Accountant) named me one of the top 100 QuickBooks ProAdvisors. The process started with a call for nominations, of which 270 were received from 65,000 eligible candidates, then a scoring based on multiple factors such as current ProAdvisor status, number and quality of Intuit certifications (I have all of them including the difficult to obtain Advanced Certification which less than 11% of my peers have earned as it requires being certified in the last three years of QuickBooks products), years certified in Intuit products, and number and rating of client reviews and finally an open vote in which over 2,000 of my peers voted. After all of this was completed, Intuitive Accountant staff compiled the scores and I was one of the 100 who earned this award including three others from the Greater Seattle area. I am also one of 740 Sleeter Group Certified QuickBooks Consultants Sleeter Group Certified Consultants have been trained and tested on QuickBooks assuring that they have the knowledge and skills required to help your small- to medium-sized business. Each Consultant's profile indicates the accounting services they perform and the products they support. There are only a dozen in Western Washington. I can also provide bookkeeper, QuickBooks, and controller tests at no charge to my clients to use to test prospective employees. I currently have QuickBooks Premier Accountant 2018, Enterprise Accountant 18.0, Point of Sale Multi-store 18.0 aka 2018, 12.0 also known as 2015, 11.0 also known as 2013 and earlier versions and Quicken Home and Business 2015 on my computer and Quicken 2013 on my laptop and have been reading blogs or attending webinars on using the former three. I also have downloaded QuickBooks for the Mac 2016, 2015, 2014, 2013, 2012, 2011, and 2010 and attended webinars on how to use QuickBooks for the Mac better for my clients. I also have the Accountant's version (which is a higher and more useful version of Pro and Premier) for 2017, 2016, 2015, 2014, 2013, 2012, 2011, 2010, 2009, 2008, and 2007 versions as well as Point of Sale 11.0, 10.0, 9.0, 8.0, and 6.0, and Enterprise 17.0, 16.0, 15.0, 14.0, 13.0, 12, 11, 10, 9, 8, and 7. I also have QuickBooks Pro 2006 that I use to convert my PC clients using antique, err older (2005, 2004, 2003, 2002, 2001, 2000, 1999, 6.0 and earlier) products in XP, Windows 2000, Windows 98SE, Windows 98, and Windows 95 to more current QuickBooks software versions running in Windows XP, Vista, 7, or 8 (my experience is that one needs to use 2006 as a bridge from 2005 or earlier). I like using the new Quicken 2015 mobile app to record my personal and business expenses when I am in the field on my Android dumbphone and iPad or Android tablet when I am traveling. I am a member of Intuit's (the folks who make TurboTax, Quicken, and QuickBooks to name a few products) Accountant, TurboTax, Small Business, and Quicken's Inner Circles which advises the company on ways to improve their products and make them more consumer friendly (gasp!). I pointed out a bug in QuickBooks Pro 2008 and suggested a programming code change to fix it. I also have made over 29 product suggestions to Intuit over the last five years. I attend annual accounting solutions and accounting conferences. I have accummulated over 24 voluntary CPEs in 2017, 32 in 2016, 26 in 2015, 39 in 2014, 44 in 2013, and 52 in 2012 to stay informed on the software I use and related third party applications, trends, and developments. I don't see how I can help you if I am uninformed. I have worked with Peachtree and have it on my machine, have been certified in Xero, am listed on the Wave partners page, have worked with iBank4 for the Mac and Mint, and am familiar with AccountEdge, Freshbooks, Kashroo, Outright, and Money (of blessed memory). Neat Scanners for folks who want to scan their receipts and add them to their software. Please contact me before purchasing unlinked applications as I may be able to get you a discount. If your Pro file is over 100 MB, Premier is over 150 MB, and Enterprise is over 500 MB and you are having performance issues, I can refer you to one of two highly recommended QuickBooks consultants and experts to shrink your file. I also know a good person for custom integration issues. Besides helping over 1,373 businesses in the last ten years, I taught seminars or classes in the "Ten Things You Need to Do to Set Up Your Start Up's Books Correctly" at the quarterly Renton Almost Free Biz School and accounting and bookkeeping fundamentals at the Six Hour Start Up Conference. I have also been asked to teach classes at Seattle Central Community College and Bellevue College (formerly Bellevue Community College). I was the subject of an article Spotlight on a QuickBooks Instructor: Teaching Small Businesses to Fish on the TeachStreet Blog. TeachStreet was a web site that brought together local teachers and inquiring students. I am also a Better Business Bureau (BBB) Accredited Business You can click on this link to see a BBB report. I was also nominated for the City of Seattle Mayor's Small Business Award in 2009. I have a Bachelor's degree from the University of Iowa where I was on the Dean's List. I completed two years of law school at Seattle University where I was nominated to be the graduation speaker nominee before I "escaped". For about two and a half years, I was the former operations and office manager with a "cents" of humor for Stuart Silk Architects, recipient of 9 AIA Awards that did around $2 million a year in business, had 15-18 employees, and a 22-30% profit margin. I was responsible for the company paying for employees health insurance starting on their first day. If you want to know why I thought it was in the company's interest to do so, please contact me. During my two and half years with the professional services firm, I was invited to speak about my experiences with QuickBooks and office management issues including payroll at my professional association's national convention. Previously, I was a career temporary (administrative assistant) for seven years, securities arbitrator, real estate agent, VISTA volunteer for Solid Ground (formerly Fremont Public Association), and patient financial and collections representative for the University of Washington and Harborview Medical Center (I helped people with their bills and wrote off $900,000 of them) and am an Outward Bound graduate. I currently serve on the board of Ravenna Woods, a 39 unit FHA approved creekside condominium association (with units occasionally coming up for sale, hint, hint) in Northeast Seattle and served as Treasurer of the Seattle Community Network Association from 2013-2017. I sometimes hike without the ten essentials, smile, enjoy riding steam trains, visiting historical museums and towns, used to like the Dirk Pitt books, rarely met a two for one Entertainment, Chinook Book, or Passport Dining coupon that I didn't like and tip on the original amount, and shopping in sales tax free Oregon. My clients have included the following industries: 502 type businesses, advertising agencies, adult family homes, adult entertainer (burlesque), agriculture, architecture, automotive repair, bookkeeping, book stores, cleaning services, catering, child care, church, computer and/or software development, construction and/or contractors (including job costing and using payroll), consulting, coffee shop, delivery, dental, design, DJ, education, condominium homeowners association, electrican, engineering, entertainment, ESL education, ethnic based organization, farming, financial services, fine shirtmaker & clothier, flower shop, food shop (frozen yogurt), golf course, government agency, hair stylist, health, home health care, hospitality, importer, industry association, insurance, IT services, lawn care and/or landscaping, legal or law firms, manufacturing (including inventory issues), marine, marketing, medical, massage therapy services, motion picture industry, museums, naturopath, non profit, property management, real estate and/or development, religious institutions, restaurant and/or bar, retail, roofer, salon (beauty or hair), school, tattoo shop, telecommunications, transportation, virtual administrative assistant, web development, winemakers, wholesale, and youth clubs. I don't discriminate by your industry. I also support individuals who use either Quicken or QuickBooks to track their personal finances. I usually serve the following cities and towns in Western Washington: Algona, Auburn, Bainbridge Island, Bellevue, Bellingham, Black Diamond, Bothell, Burien, Brier, Carnation, Clyde Hill, Covington, Des Moines, Duvall, Edmonds, Enumclaw, Everett, Fall City, Federal Way, Granite Falls, Index, Issaquah, Kenmore, Kent, Kirkland, Lake Forest Park, Lake Stevens, Maple Valley, Marysville, Medina, Mercer Island, Milton, Monroe, Mountlake Terrace, Mt. Vernon, Mukilteo, Newcastle, Normandy Park, North Bend, Olympia, Pacific, Puyallup, Ravensdale, Redmond, Renton, Richmond Beach, Sammamish, SeaTac aka Sea Tac, Seattle, Shoreline, Snohomish, Snoqualmie, Sultan, Skyway, Skykomish, Stanwood, Tacoma, Tukwila, Vashon, Vashon Island, White Center, Woodinville, and Woodway. Areas outside King and Snohomish County or more than a half an hour driving time from my residence may be subject to travel time, mileage both ways (at standard IRS rates, currently 53.5 cents a mile each way in 2017) and applicable actual bridge or road tolls, parking, and ferry charges each way depending on the services rendered, when I come out, and how long I stay. I am also willing to go to Bremerton, Gig Harbor, Poulsbo, Port Angeles, Port Orchard, Port Townsend, Sequim, Shelton, Silverdale, Portland, and Vancouver (BC). And as for the question you've been wondering while you were reading this (very long, detailed, and informative according to some clients, a sleeping pill to others) web page, as an Advanced Certified QuickBooks ProAdvisor (less than 11% of ProAdvisors have earned that distinction), certified in 10 years of QuickBooks products, with over 16 years of experience using QuickBooks overall, and additional voluntary certification in Intuit's Online, Point of Sale (POS), Online, and Enterprise software (fewer than 5% of ProAdvisors are certified in all of Intuit's products), with 48 reviews on the Intuit Find a ProAdvisor website, 14 recommendations on LinkedIn, 26 five-star reviews on Yelp (13 filtered, sigh), and six on Angie's List where I was recently received their Super Service Award, a former "COO", and comfortable with both the PC and the Mac, I offer you three ways to use my experience helping others like you and my knowledge. First, if you aren't sure how much time you will need or if you have a particular problem, or want me to help set up your start up company's books, review what you have done (doing it yourself does not always mean you did it right, why take the chance? ), support, and bring my one-on-one class to train you in any version or year on an hourly basis for $150 plus travel time both ways with a one hour minimum and quarter hour increments rounded up thereafter as I come to you in Greater Seattle (usually defined as most of King and Snohomish Counties). Travel time is waived if you come to me or book a three hour or longer session if you are located within a half hour drive time of my office or four hours if more than a half hour. Most folks need between three and four hours. Signing up for or purchasing Intuit and third party products you need are another way to avoid this requirement. Training can be for up to two persons from the same company or household at this rate. Please make sure we have adequate room to work. I recommend plenty of space to the left of your work place since I will be sitting on your right. I reserve the right to require more time if I feel that your problem or the issues that you need to be solved require that additional time so you can learn how how to fish for yourself (or make Tofu if you are a vegan, smile), the freedom to sleep at night, and count dollars instead of sheep. Enterprise Solutions software customers are required to name me their Solution Provider with Intuit before I can work on their file. I will provide the form and file it with Intuit. It doesn't change your Full Service Plan. It does give your priority over my non-Enterprise customers if you have problems. I do recommend that you activate any free Intuit services that you are eligible for. I charge for any and all Quicken and QuickBooks advice, accounting and bookkeeping support, technical support, advice, or recommendation of any software or hardware products, product demonstrations (although I credit that time against the normal or regular purchase price if you buy from me or future consulting time), purchase advice, network assistance or support, research, in person meetings, and telephone, chat, and e-mail consultations after the intial telephone or e-mail consultation or session. I sometimes waive these charges when you have obtained Intuit or other products through me. Billing is done by the quarter hour rounded up. If you want to prepay for your future time after the first session, I offer a $5.00 per hour discount if you pay for three hours and $10.00 an hour for six hours at the end of that the first session (once you go over that time, you are usually better off with my unlimited plan). If you prepay, you are going to want to call me back to get your money's worth. That's fine by me. You have 90 days to use the time or 120 days if you apply for Intuit's no monthly minimum and no minimum fee credit card processing through me. Second, if you don't want the hassle of going out and buying the software and want me to come out and show you how to install it and/or correctly upgrade from an earlier version and provide three consecutive hours on the same day of set-up, review, support, and/or training, then I can provide this time and a free copy of the most current QuickBooks Pro for the PC or the Mac for $695 and any version of Premier (I recommend the Accountant version, ask me why) for $795 plus a free application for Intuit's no monthly fee or minimum credit card processing to have for when clients "forget" their checkbook. I pay the cost of the software and sales tax. Additional hours are $150 an hour rounded up to the nearest quarter hour. Or third, you can pay me $1,995 plus mileage at the standard IRS rates each way and any travel time as noted above, tolls, or parking fees and get one year of unlimited e-mail (preferred), phone, and in-person support, help, training in using the programs and one-on-one classes for each person using one company file in any version of QuickBooks or up to two people residing in the same household using Quicken. One thing I do is allow my clients and I to try each other out and then apply that first or second session to that annual fee if we both agree that it would be a good fit and choice financially. However, I do not offer this special until I have worked with you. Direct bookkeeping help or instruction, tax advice, payroll, credit card processing, and third party applications or providers are not part of this special as those last three providers provide their own support and the purpose of this special is to show you how to use your program and not do your work. Cancellations with less than 72 hours of telephone and e-mail notice and not rebooked at that time will be subject to a charge of one hour ($150). The reason for this is when you book your appointment, I then tell other clients I am not available at that time and some go elsewhere because they have an urgent issue. I then lose money if you don't follow through. You expect me to show up. So do I. Because I believe in customer service, I am available evenings and weekends if you work during the day. I am sometimes willing to travel throughout Western Washington State. Same day appointments are sometimes available. References gladly exchanged. Post service support by e-mail (preferred as I frequently find my clients solve their own problems when they write down their issues or problems) or telephone assistance is billed out in quarter hour increments. If you're not convinced by now that you should hire me, please consider this argument. You can spend 12 hours of unbillable time learning (maybe) how to do it yourself. Or you can have me come over for a quarter of that time and use my specialized knowledge, skills, training, and advanced certification to bring my one-on-one class and customized training to you to help, support, and train you in QuickBooks or Quicken. That means you now have 8 hours to spend making money. I don't repair my car, sew my own clothes, or fix problems in my condo. I hire people who know more than I do to fix my problems and do it in less time. Payment is expected at the time of service either from the company whose company file I am working in or the person hiring me who can be reimbursed by their company. A Receipt for Services will be e-mailed to you. Unless I know ahead of time, I charge a $25 invoice preparation fee if I have to wait for your payment. I do understand that some companies require an invoice before making out a check and can waive that fee with advance notice. I just need to know your procedures. I take cash, checks, Intuit Payment Network through your bank account, your first born (just kidding), and American Express, Mastercard, Visa, Discover, and PayPal if you pay additional credit card processing fees of 2% for swiped and 4% for unswiped (sorry, if you want those miles, you have to pay for them) for the latter five.